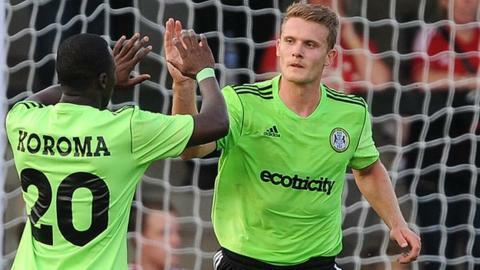 Forest Green Rovers' record goal scorer Yan Klukowski has turned down a new deal at the club. The midfielder, who netted 48 times in four seasons, has opted to leave the New Lawn in pursuit of his first Football League contract. Defender Jamie Turley has also left Rovers for the same reason. Meanwhile captain Jared Hodgkiss, Ed Asafu-Adjaye, Stephen Brogan, Reece Styche, Paul Green, Saul Williams and Adam McHugh have all been released. Striker Jason Walker also reached the end of his contract and has left the club by mutual consent. "I'd like to thank all of the departing players for their contributions to Forest Green Rovers," said manager Ady Pennock. "A lot of these players have had a big hand to play in the progression of this club over the last few years."